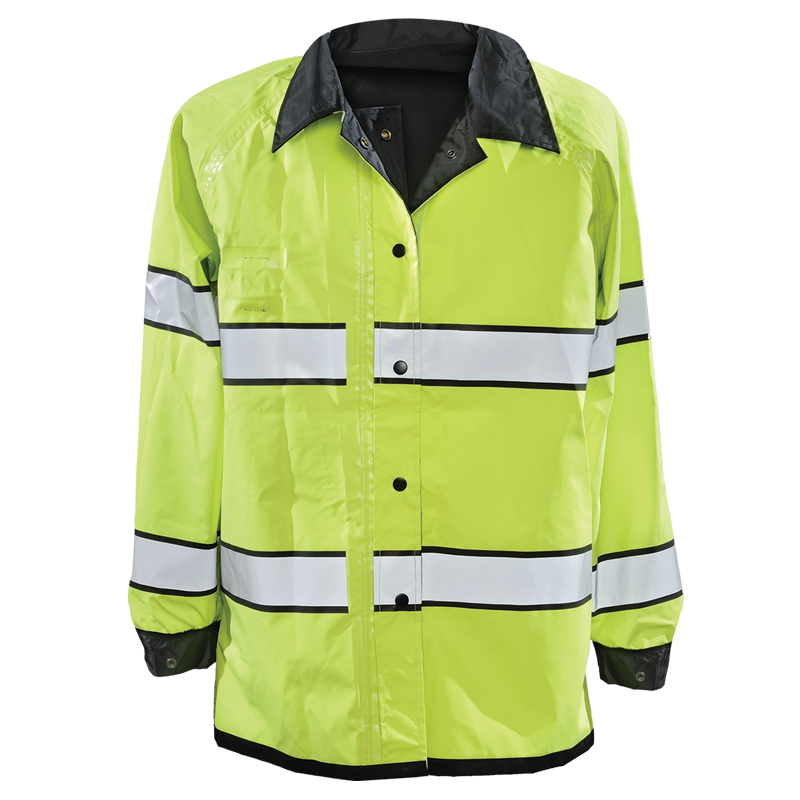 Lightweight waterproof hip length reversible outer shell. Lime Yellow interior with Scotchlite Reflective striping with 1/4 black accent edge is ANSI 107 Class 3 for superior visibility. Double storm flap front with gypsy snap closures. Velcro side equipment access. Elasticized adjustable cuffs. Optional snap on hood is available.